Another arrests have been made in a case in which a Soddy Daisy couple reported a theft at their residence netted thieves over $56,000 in items. Michael Lee Leming, 42, was initially charged in the case. At the time, only $10,600 of the stolen items were recovered. 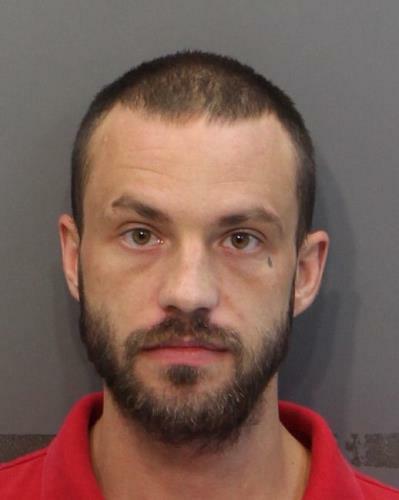 Leming is from Dunlap, but was living on Morningside Drive in Soddy Daisy with an uncle at the time of the break-in. Police said it was found that the couple's nephew, David Ray Vaughn, had master-minded the burglary. Leming said Vaughn had brought items to his residence that were located by detectives. Leming said Vaughn told him he was moving and needed to store the items. He said Vaughn paid him $100 to drive to Knoxville to rent a moving truck. He said he and Vaughn were arrested for drug charges when they were stopped on I-40. 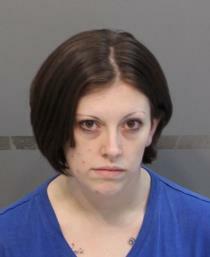 Knoxville Police said Tiffany Wilkey was in the vehicle at the time of that arrest. After an arrest warrant was issued for Vaughn in the Soddy Daisy burglary, he came in and gave a statement. He said he was involved in the burglary of his uncle's residence and that Leming and others also took part. He said a large amount of the remaining stolen property was at the residence of Ms. Wilkey at 12321 Old Dayton Pike at Soddy Daisy. A search warrant was executed there and some of the items were located. Vaughn said most of the stolen jewelry had been pawned by Robert Reid. Police were able to locate some of the stolen jewelry at Twin City Pawn in Rossville. It had been pawned by Robert James Reid. Authorities said they concluded the four people involved in the burglary were Vaughn, Leming, Reid and Ms. Wilkey. The couple said the thieves may have picked their residence because they posted on Facebook that they were vacationing in Gatlinburg. Deputies were dispatched on Sept. 3 to a residence on Yaphank Road. The couple said they found their residence had been entered after they returned from their weekend trip. Items taken included $500 in gold coins, $800 in change, a $500 Bose Wave radio clock, a safe containing a $4,000 diamond wedding set, a $3,300 diamond wedding band, a $2,800 pair of diamond earrings and a $3,500 diamond anniversary band, $400 cash, $800 in savings bonds, a $500 box of jewelry, several large TVs, a $6,000 camera, $4,600 in camera lenses, and many other items. The couple later told authorities they had spotted their stolen Canon camera lenses posted on the site "Let Go." The seller was Sarah Marie Brooks of Soddy Daisy. Investigators said Ms. Brooks admitted that she and her boyfriend, Michael Brandon Ruffner, stole the lenses from their friend, Michael Leming from where he was staying at 113 Morningside Dr.
Carl Edward Leming said his nephew had been staying there for six months, but he had recently kicked him out. Investigators checked out the bedroom where he had been staying and located the $10,600 in stolen items from the couple. Several large TVs were among the items in the bedroom.